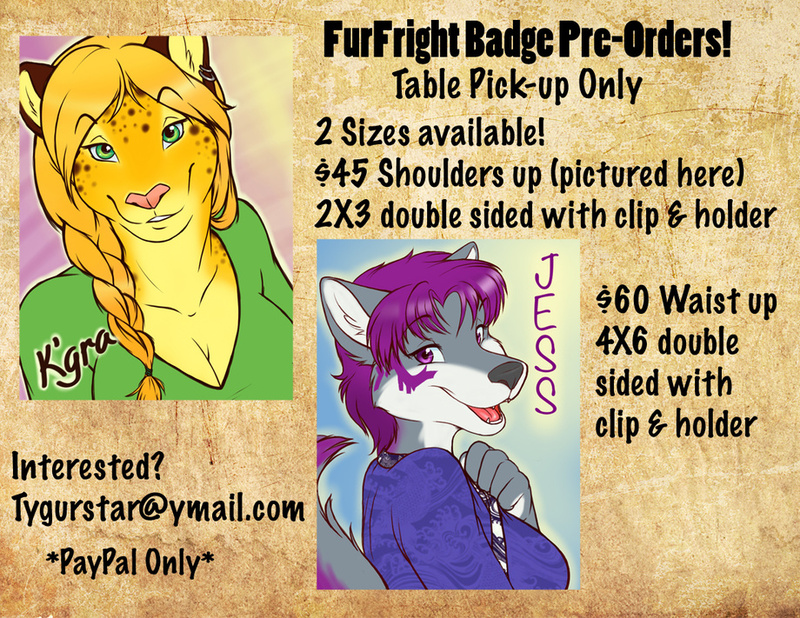 Furfright 2013 Badge Pre-orders open! These are for pick-up only. These are digitally colored badges, double sided, and come with a plastic holder and a clip.